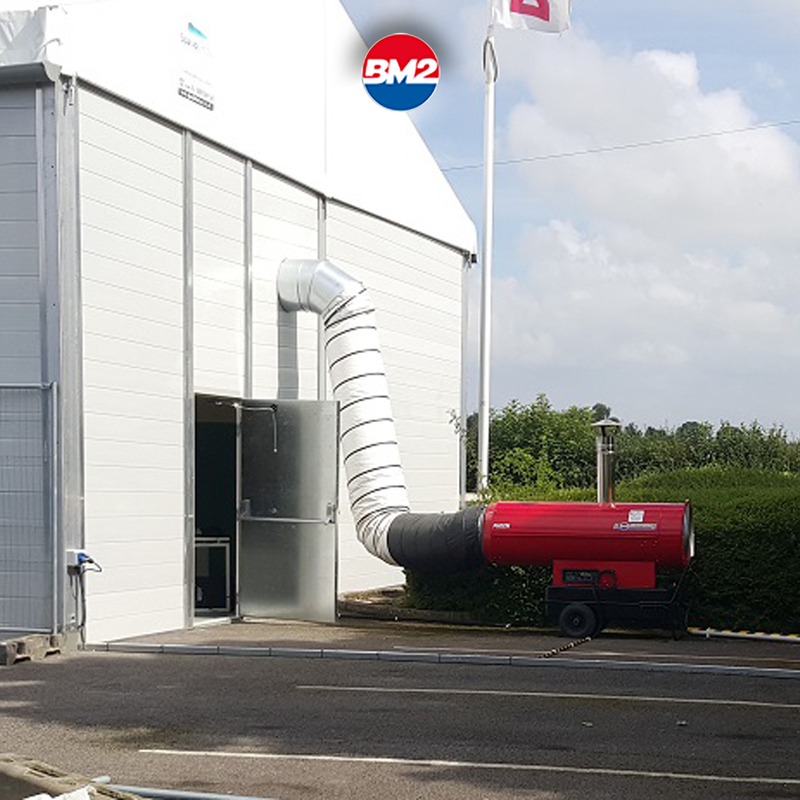 Arcotherm line of products, by Biemmedue, world leading company in the design and production of warm air generators, cleaning machines and dehumidifiers, with headquarters in the province of Cuneo, are ideal for the entertainment industry. This sector includes technical structures for company events, conferences, receptions, television shows, but also all circus marquees which have the characteristic of belonging to a travelling profession: these in fact, change locations several times a year, and are therefore disassembled, moved and re-assembled several times in a single season. The high mobility and quick installation of Biemmedue products, make them the ideal heating solution for this sector, in which the use of other systems is impossible due to high costs as well as the long amount time required for their installation. Wheels, handles and sturdy construction allow for the easy transportation of Biemmedue warm air generators from one location to another, to be installed and disassembled quickly, ensuring durability. That’s why Biemmedue is famous for offering its clients, ready-to-use versatile solutions for all necessities.